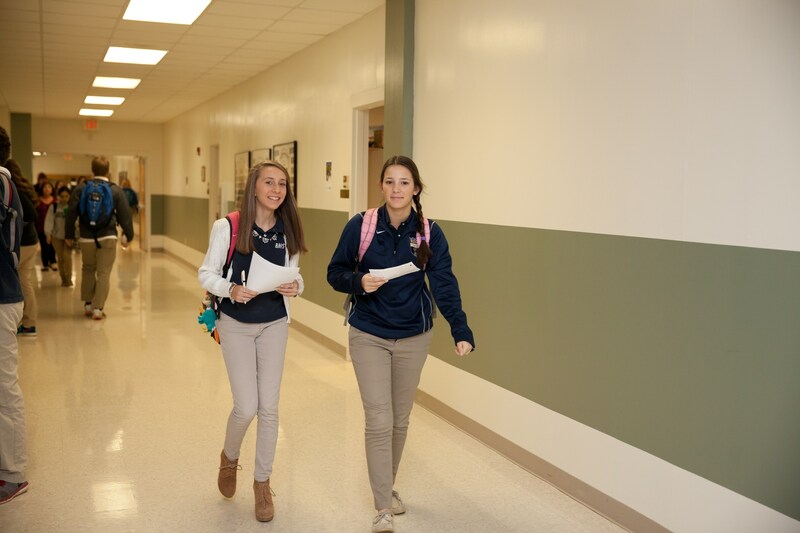 The curriculum of this college preparatory school is organized on three levels generally described as a) standard college prep, b) honors and c) Advanced Placement (under guidelines of and in compliance with the C.E.E.B. requirements). All courses are one semester in length and credit is earned by semester; 0.5 units earned for each semester course successfully completed. The letters A or B following a course name denotes first (A) or second (B) semester of a full year course. E.g. English I A (First Semester) is .5 units; English I B (Second Semester) is .5 units totaling 1 unit credit for the year. and students’ expressed preferences during the re-registration process. Alternative course selections may have to be made due to scheduling conflicts. ﻿The 2018 - 2019 Academic Year Catalog can be found by clicking the link at right.